This Saturday marks the sixth annual Halloween ComicFest presented by Netflix and Stranger Things. Halloween ComicFest celebrates our love for comics and our love for our local comic book shops. Participating stores give away free comics to fans, the website hosts a costume contest, and many local stores offer a lot of additional promotions and giveaways. You can even pick up bagged sets of 25 mini comics to pass out at your house on Halloween. It really is a great excuse to put on a costume, visit your local comic book store, and get some free books. Here are my top five picks for Halloween ComicFest. To see all of the books that will be given away and to find a participating store near you click here. HCF Babyteeth #1 - Rated for mature readers, I am thrilled that this title from Donny Cates will be offered up to age appropriate readers on Saturday. Babyteeth focuses on the life of Sadie Ritter, a sixteen year old who is pregnant with what might be the Antichrist. Needless to say this makes being a teen mother a bit more complicated and takes her life in a direction she could have never expected. If you haven't checked this series out yet, please pick it up this weekend and you won't be disappointed. 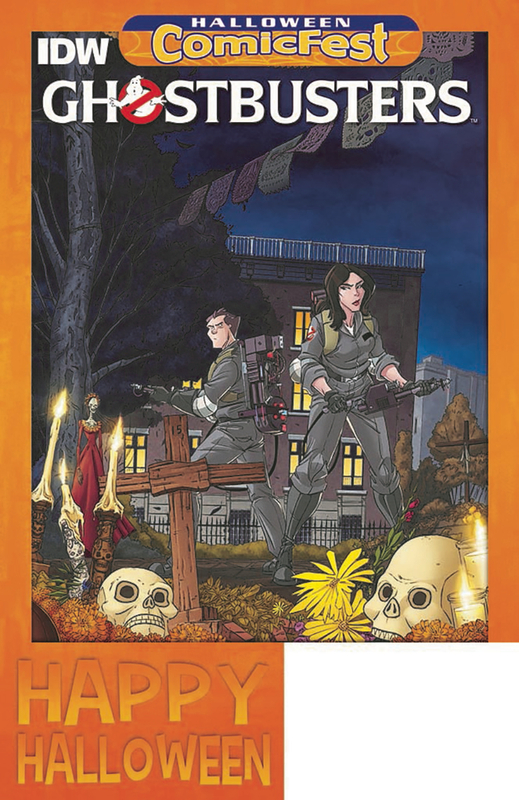 HCF Ghostbusters Dia De Los Muertos - How can you enjoy Halloween without some ghost busting? This books takes place on the Day of the Dead just following Halloween. While I haven't read a lot of this IDW series, I have heard good things and plan on picking this up on Saturday. Featuring a diverse cast of Ghostbusters, the crew is dealing with a ghost that is causing some problems for a family in New York. Rated for teen readers. 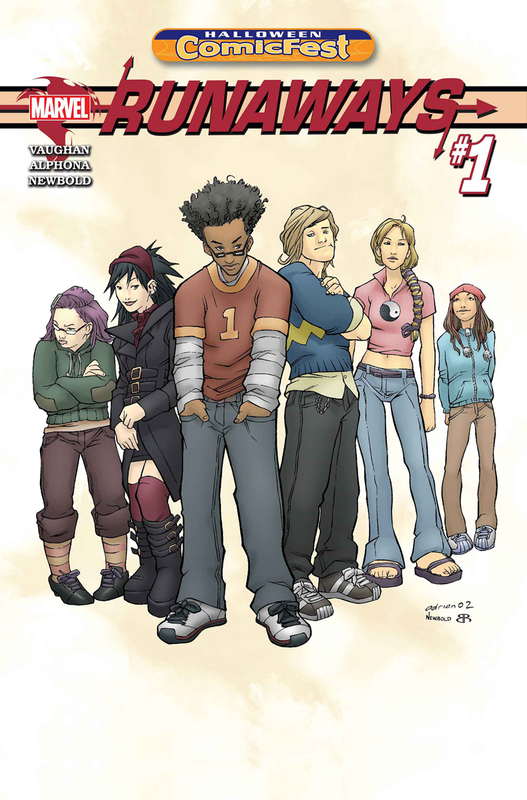 HCF 2017 Runaways #1 - Brian K. Vaughan, of Saga and Y: The Last Man fame, is penning a new Runaways series for Marvel that is sure not to let you down. The story centers around six children who are on the run from their parents. It turns out their parents are part of a secret criminal societey known as the Pride. I am very curious to read Vaughan's take on this classic Marvel series. Rated for team readers. 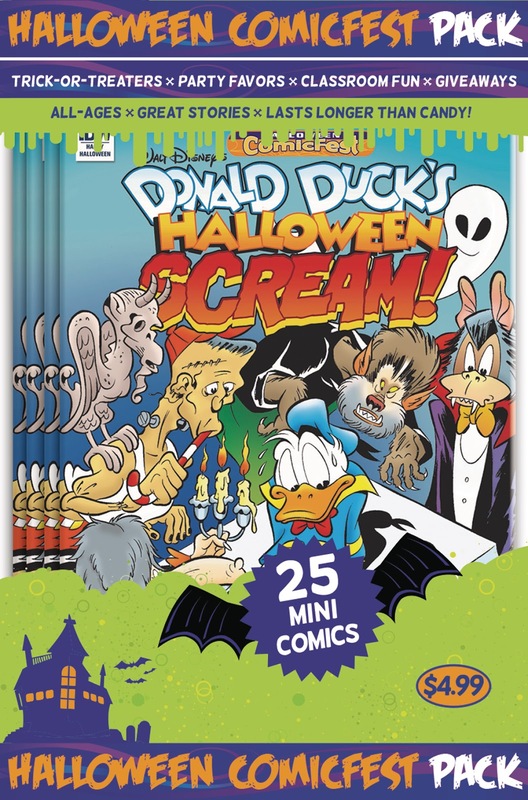 HCF 2017 Donald Duck Halloween Scream #2 Mini Comic Polypack - In addition to the free books that you can pick up, you can purchase polybag packs of 25 comics to hand out to trick-or-treaters. My top pick for the bagged mini comics is this book featuring Donald Duck. You can't go wrong with a classic Disney character and fits in well with the timing of the Ducktales reboot. You had me on Donald Duck meeting his match in a haunted house. Rated for readers of all ages. 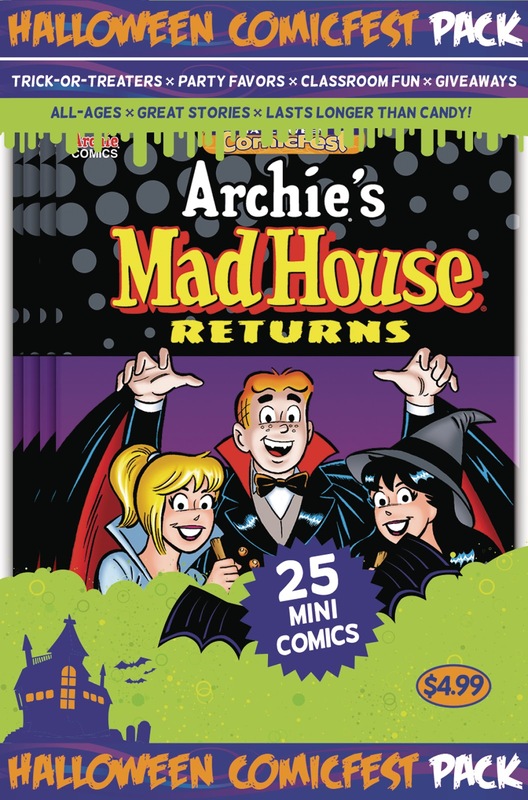 HCF 2017 Archie's Madhouse Mini Comic Polypack - Archie is back in a big way and his annual Halloween min comic is always a delight. Featuring a collection of spooky stories, this title should be a lot of fan for readers both young and old. Given the success of the Riverdale television show, it should also be a hit for those tricky in between readers! Rated for readers of all ages.